If one or more of these apply to you, please read on because you are in the right place and there's help for you here. You are committed to your success and work hard for your results, and don't give up easily. You are humble enough to realize you can't know everything. You have shown that you are willing to invest in your child's education. If any of these resonate with you, you are someone I may be able to help. The first place to start is with the right information. That's why I've put together the Science Mastery Program. 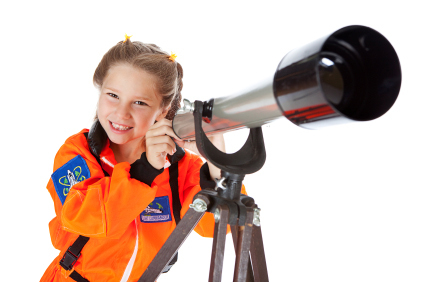 Create learning opportunities that ignite your child's curiosity and excitement. Because I have had my share of struggling with both learning and teaching physics, chemistry, and engineering to grades K-12 and through university level... until I figured out what I needed to do to be successful. My name is Aurora Lipper and I'm a mechanical engineer, pilot, astronomer, university instructor, scientist, homeschool teacher to large groups of kids, and mother of two in California. Several years ago, I found myself frustrated with teaching my mechanical engineering students at the university after giving them my absolute best. I simply could not get through to them how to learn some of the most important concepts in science. I decided I needed help. I found the best mentors and teachers to help me find out what worked and get rid of what didn't. 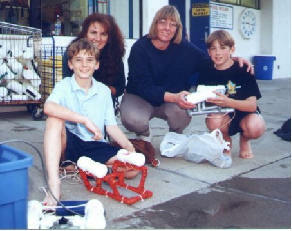 The result was a booming science series of lessons I could teach to any age... from five year olds through twenty five! My classes were overfull. I had more students than I could ever imagine. I have watched families expand into a fuller potential and even watched their child's lives change course. I have witnessed many families go from feeling overwhelmed and hopeless toward learning anything science-related to the highly energized state of creation of exploration often in just one class. 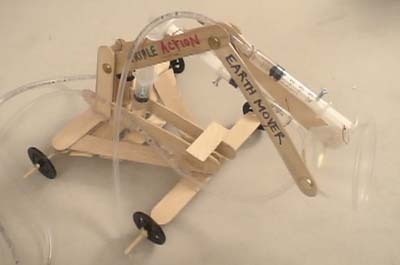 Hundreds of Science Experiments, Projects, and Activities! Over a year's worth of physical science and chemistry for K-12 kids. Science Mastery covers: Bernoulli's principle for wing design, Maxwell's Electromagnetic principles, Newton's Laws of Physical Motion, Le Châtelier's Equilibrium Principles, the First and Second Law of Thermodynamics, Light Wave-Particle Duality, Conservation of Momentum, Conservation of Energy, Four Fundamental Forces of Nature, Ideal Gas Law, Three States of Matter, and much more! You'll discover why airplanes fly, why you get shocked on dry days, why a compass needle flutters around electrical cords, how to measure the magnetic pulse of the earth, how to spark together electrical motors from magnets and wires, how to design flying machines, how to catch invisible waves you can hear, and much more! 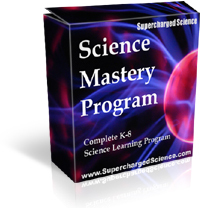 Here's how this Science Mastery Program works: When you order this program at the link below, you get a box shipped to your door with everything you need inside. When you're ready to do an experiment, you flip through the science manual, pick out the lesson you want, and dig through your box for the corresponding packet of materials. For example, if you want to build the water rocket, you'd find it in Chapter 3. Digging through your box will reveal a packet with a label on it that contains your materials. Now here's the hard part: HAND IT OVER TO YOUR KIDS! It includes everything they will need, including the science lecture on audio CD, instructional science video DVD, and all the parts to do the science experiments! The DVD includes a trouble-shooting guide and guidance as to where things usually go wrong. They will learn all the things that aren't taught in school, such as how to build exploding toilet paper cannons, how to zoom roller coasters around the living room, how to build a DC motor, how to blast rockets from the palm of the hand... using your natural gifts and talents to make these project their own. 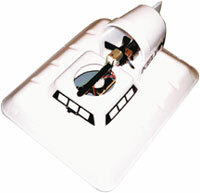 The projects they build often incorporate several scientific concepts at once (example: the Hovercraft project involves electricity, magnetism, and friction). You'll also have the support and wisdom of my team here at Supercharged Science. Together, I will help you stay motivated and keep you on track. And support is here for you for as long as you need it. "I found Supercharged Science a year ago. I liked the concepts and the experiments looked fantastic, but was a little hesitant about the price. WHAT WAS I THINKING? After mediocre experiments in other science programs, I finally 'gave in'... My kids love Supercharged science and I regret that I didn't start a year ago. I now regret that we missed a year of awesome, Supercharged Science. We are definitely using Aurora's program next year and beyond as our main curriculum. I am learning with my kids and we are all have having a blast. I wish all our subjects could be this much fun. Thanks Aurora for being really committed to teaching our kids and bringing us these quality programs in such an easy to use format." "I LOVE THE PROGRAM!!! I love that you have the forethought to give us supply lists. I LOVE that you speak to my kids about atoms, particles, accelerators, generators, nuclear physics, all four types of force and treat them like they are.REAL SCIENTISTS !!!! You are a wonderful role-model for my scientific daughter and son, as well as for my husband and I. You do have a tremendous impact in helping us motivate our learners. "Let me reiterate that never before in one day, in SOOO many ways have I heard my kids so clearly exclaim: "I CAN!" I love the warning you post on your website encouraging repetition, persistence, and participation. ALL LEARNING should have this label!" "Aurora knows her stuff. The video demonstrations are clear, engaging and inspiring. The text is easy to understand. The experiments go from fun to hilarious! The online section will never let you get bored. The customer service is better than we've found in any business, whether homeschool resource-oriented or not. You will have that taken-care-of feeling. Put it all together, and you have the best deal anywhere. Oh, did I mention? We're really happy with our purchase." "My boys have been picking away at the electricity experiments and they threw a FIT when I told them it was time to put it away because it was time for dinner. I am not happy about their bad attitudes, but I have been homeschooling for 8 years now and they have NEVER reacted with such vehemence about wanting to CONTINUE school as they did with your science. I was completely overjoyed that they were enjoying it so much." What's Included with the Science Mastery Program? Each lesson packet contains all the hard-to-find materials. Science Mastery is a COMPLETE package, including all the hard-to-find equipment you need to make ALL the projects in the Science Mastery Program. You will get a box of supplies delivered right to your door, from lasers to motors to rocketry valves - it's all in there! 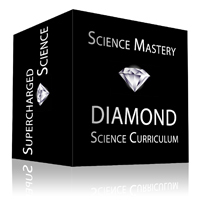 Click here to see what's included in the SILVER Science Mastery box. There is no risk on your part when you order. If you sincerely feel that the information in the Science Mastery Program is not worth the money, just send us an email within the first 30 days of purchase. I'll issue an instant refund. All I ask is that you give the Science Mastery Program a fair try. If you've worked through it, used the strategies and projects outlined in the manual and media files, and still feel it's not as you had expected, you'll get a hassle-free refund. What is the Science Mastery Program? Creating the Ultimate Science Experience! 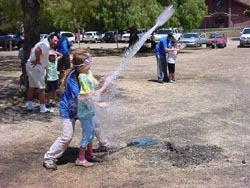 Hundreds of Science Experiments, Projects, and Activities! Dozens of hours of real hands-on science. Includes live audio CDs, instructional step-by-step video DVDs, parts and materials, the Science Experiment Manual, unlimited support, and money-back guarantee. Through the manual, resources, member's only access pages, unlimited support, audio CDs and DVD video demonstrations, you will be provided with an experience-rich community that you can use to springboard your practice into a thriving venture. Take control of your child's science education and start enjoying physical science as it was always meant to be - exciting, energizing, and full of potential! We have been beginning to do some of these experiments; in fact, I am a Parish pastor, and have used some of them as illustrations. To be honest, when I first started to look at your curriculum (my wife had bought it and brought it home) I was a little hesitant. I was used to science being done in more of a controlled laboratory-- and here you were using (at times) less-than-laboratory precision in your activities, and somewhat simplistic-seeming activities. In short, I think I had turned into a bit of a snob in my scientific outlook. Over the past several weeks, I have seen how useful it can be to use more everyday items in teaching and experiencing science; science is simply observing how everyday stuff works. Your approach is great; I can see it not just teaching good scientific principles, but also fostering a lifelong love of exploring, experimenting, and learning. Thank you very much! Please keep the newsletter experiments coming, as well-- they're great additions! Thanks once again-- you've taught me quite a lot, to say nothing of my kids! --Phill Hooper Click here to read more. "What's so special about YOUR program?" What this means to you is your child can watch and do the program on their own. Which really means to you is you will have more time to spend on the things you really want - empowering your child and building their confidence instead of deciphering archaic directions. 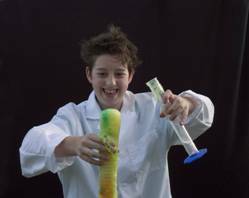 Here are a few questions for you to consider: In your opinion, do you feel it would be worthwhile to have video instructions designed so your child can work through a science experiment on their own? How worthwhile - just a little or a lot? How much time have you spent trying to figure out how to set up and do an experiment? Have you ever given up in frustration? What opportunities has your child missed because of this? The great thing about our Science Mastery program is that it's so versatile that you can work alongside your child or simply hand it over and let them drive their own education. "Do you teach the HOW and WHY behind the lessons?" "What if my kids ask me science questions I can't answer?" This means you're now off the hot-seat with having to come up with all the answers. 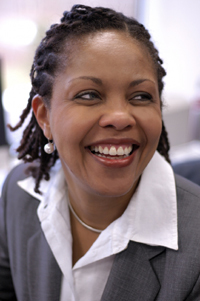 I totally encourage kids to contact me as a part of taking charge of their own education. What this really means is that your child is now finding their answers to their questions, freeing up your mind for more important things (like watching them learn and enjoying the show). Here are questions to really think about: In your opinion, do you feel it's more important to clear the field of all problems for your child or teach them how to handle obstacles when they arise? How important is it to 'get the right answer' over 'make mistakes and learn from it' for figuring things out? Which one of these was modeled for you when you were a student? How do you want to handle this with your own child? 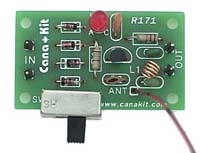 "Most science kits don't work. Why should I get yours?" All my science programs include a full Unconditional Happiness Money-Back Guarantee because I am here to support your commitment to your child's education and want you to see what our programs can really do for your family. What this means is that you can test drive our programs risk-free. No strings attached. What this really means is that you won't lose sleep over the cost because I'll handle it if it doesn't work out. I'm not after a one-time sale but a life-long solution for your family. Open up the program, try it out, and if it doesn't work, send it back. (Boy, I really hate those programs that only take things back within the first 7 days, and then only if it's in unopened condition!) I don't know about you, but I can't tell if a program is going to work for me without opening the package. So go ahead - give it a try! That brings up a question: In spite of the cost being out of your budget, isn't the real question how can you get much more value here than you thought you could? "But I don't have TIME to do science!" What this means to you is that you will no longer struggle to find the time to teach science - your child will notice opportunities pop up all around them. What this really means is that you'll spend less energy on figuring out the next step in teaching science and spend more time where it counts most. Consider these questions: In your opinion, do you feel you'd want more time or more energy to spend with your child? Do you feel like you'd have an easier time teaching science if you knew how to deliver it in a way that really touched your child? What would that be worth to you? In spite of the cost, isn't the real question here is it possible for you to get much more benefit than what you're investing? Isn't the question can you get enough value to more than justify buying this program? "Why is your program so expensive?" My science program is one of the most expensive programs out there because I've spared no expense in producing the finest science educational possible by seeking out top professionals who are truly passionate about their work and figuring out what is was that got them interested initially in science, and what motivated them to take action and follow their dreams. Which means you really get what you pay for - a program designed by science and education experts designed for long-term performance instead of marketing teams trying to sell a product. What this really means is that your child will have their pick of colleges and careers because you have used a program created by the most successful and passionate engineers out there. Here are a few questions for you to consider: In your opinion, do you feel it's important to use a science program designed by marketing experts or science experts? Have you ever been in a class where the teacher seemed to lack the background for the topic? What kind of impact did that make on you? How many programs have you used that gave you a similar kind of result? What kind of impact would that have on your child, long-term? 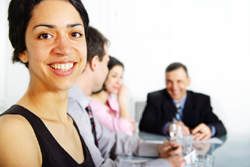 I can't convince you whether our program is right for you - you're the only one who can do that. You're also the one who knows who will miss out if you use a program you know to be second-best. Isn't the real question here how can we handle the cost and give you more time to spend with your kids, less struggle with finding materials, and the peace of mind knowing that your child's education is taken care of so you don't have to worry anymore? "Why should I spend so much on only ONE subject?" Here are a few questions to consider: In your opinion, how important is it to 'see what's out there'? On a scale of 1 to 10? 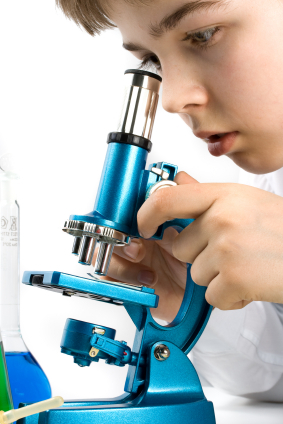 Have you seen your child gravitate to a certain area in science already? What if there was another area they haven't been exposed to in the right way? What would that be worth to for your child to have this opportunity? What would your child miss out on if they never found their true passion? "It's not in my budget!" I am not here to sell you anything you don't need. However, you might want to know how other curriculums compare with mine. As it turns out, Science Mastery is not the most expensive program compared to everything else out there. Here are six companies that charge more and still don't include everything our programs do (robotics, electronics, and hydraulic power are missing from all of them). And not one of these companies includes all the materials or provides support (let alone unlimited support). And not one of these curriculums includes instructional step-by-step instructional videos. At most, they are textbooks with partial materials. $695 for Science Mastery (Silver) for K-8. Includes: parts and materials, instructional step-by-step videos, live audio recordings from teaching sessions, printed manual, unlimited support for as long as you need it, and money-back guarantee. "Is your program a COMPLETE curriculum?" Yes and no. It really depends what your goals are. If you already have a curriculum, many parents report our programs are just what they needed to round out their lessons with more hands-on projects. If you're still searching for a curriculum, many other parents tell me that this program is exactly what they needed for their style of learning. Think of me as the teacher with all the great ideas. 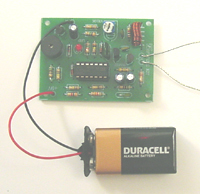 I give you hundreds of science experiments and projects that you try out for yourself. 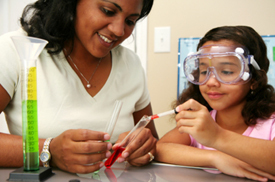 If one experiment really ignites your child, then take it and run with it - expand it into a science fair project, make it a theme, turn it into a report using the scientific method. It's our job to completely immerse you in hands-on activities and projects, and let YOU decide where to go from there. "What does my child really need to learn?" Parents are wondering exactly what bases they should cover for their kids to understand science before they hit the high school or college scene. This is a difficult question to answer, partly because it depends on what your ultimate goals are. If your child wants to just get his feet wet and see what all the fuss is about, then the experiments in the Science Mastery program can be used to play around and get them introduced to the science field. On the other hand, if your child is still thirsty for more science, then it's time to get serious about learning science, and the Science Mastery program is designed to do just that. Once your kid hits college, she'll learn about the other eight fundamental laws in science. (Teaching six-year-olds about quantum mechanics, relativity, and the Heisenberg principle isn't the best use of their time right now.) The goal now is to excite kids about learning and give them just enough so they can stay curious about their world and seek their own answers through this curiosity. "What does the Science Experiment Manual Cover?" What you WILL find is 100% solid content of what and how to do the activities! 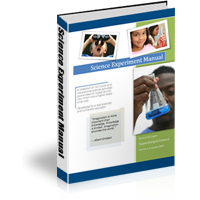 The manual includes over 100 experiments. It's in both hardcopy and e-book format, meaning that when you purchase it, you will immediately be mailed a link to a download page where you can get access to it right away. You can print the PDF file on your printer or save it to your computer for easy viewing. "I don't have time to teach science! Why should I get this program over a science workbook?" While workbooks have their place, some kids get frustrated (or worse, turned off from science altogether) because they can't ask a book a question. And since kids learn differently from each other, many kids don't feel satisfied simply by reading about science through a book, but rather by doing it. "How many science projects are included?" The materials box includes enough stuff for hundreds of experiments (depending on which Science Mastery you select). I include all the hard-to-find items like wires, LEDs, lasers, crystals, pulleys, chemicals, and more. There's a chart listed below for you to compare the different programs and find the one that's right for you. "What if I don't have time to go get the stuff needed for these projects?" 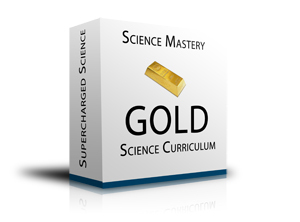 Science Mastery is a COMPLETE package, including all the hard-to-find equipment you need to make ALL the projects in the Science Mastery Program. You will get a box of supplies delivered right to your door, from lasers to motors to rocketry valves - it's all in there! Click here to see what's included in the box. "What if I need help with a science experiment?" "What age group is the Science Mastery Program appropriate for?" "I don't have time to sit and listen to all these programs and then figure out what to do. What do you suggest?" I don't believe it's your job as a parent to have all the answers. So hand over this program to your kids and let them have at it. When they run to you with questions, you can honestly say, "Gosh - I'm not sure. Let's take a look together..." And when they're working on a static electricity experiment, for example, you can add in a playful way: "It looks like you glued the balloon to the wall - is that how you got it to stick?" and wait for their answer on static electricity and how they rubbed the balloon on their head to charge it up. I do believe that it IS your job to be the biggest cheerleader for your student, meaning that you show them total confidence in their abilities to figure things out. You don't need to have all the answers... in fact, you're not supposed to. Just make sure they know you believe in them and they'll find a way to make things work. Most people stop here and give up, but this is where the greatest opportunity for learning starts. Stop to take a closer look and really start to ask quality questions about why the laws of physics gave you something different than you were expecting, that's when you really learn how to fly. Does it matter what type of paper I use? Does the plane have to be symmetrical? Does it matter if I add a paper clip to the nose? How do real airplanes keep from nose-diving? "Do you really include EVERYTHING I need, or do I still need to get more stuff?" Still skeptical? Click here to see what's included and NOT included in the box. "Is this program from a creation or evolution viewpoint?" "Most science projects we do don't work. How is yours different?" How long would you give your average baby to learn how to walk? Before you shut him off and tell him not to bother anymore because "he will just never get it right". You should be saying to yourself, "Whaddya mean? Are you crazy?! My kid's gonna walk!!" And amazingly enough, 95% of the people on the planet walk. It's the same with any new endeavor you take on. With learning science, the physical laws of the universe are still working exactly as they should (gravity didn't suddenly increase, for example, when your marble flew off the track). It's just a matter of perspective. You just need to stop, take a closer look, and really try to figure out what's going on. Wow, you got that replacement DVD out to us faster than 186,000 miles per second. Thaaaaanks! As when testing the other DVD's, we couldn't just pop it in and pop it out; we had to watch it for a long time, because we couldn't tear ourselves from it, even though we had lots of other pressing tasks at hand. Hey, there are times when the interruption is more important than the activity being interrupted. Just to be cruel, I stopped the DVD after a half hour and told them they'd have to wait. Just protecting our investment and building up their excitement even more. Our kids are 10, almost 9, almost 7, 4 and 1. Your demonstrations, with a blend of your knowledge and teaching skills, the box of stuff, manual, dvd's, cd's and web site access are well worth the money, Aurora, but hear this and remember it: The customer service doubles the value of it all. We truly feel taken care of. We hope one day to meet you and say to your face how much we appreciate what you are doing with your life. We have always been encouraging fellow parents to free-style it with their children's education, especially the ones who feel lost as to how to proceed. You are giving parents a humongous means toward doing it successfully. By "free-style" I do not mean anything goes, but rather that the children get time and space to discover, as well as materials to form constructs, and that they get to be in the cockpit a lot, flying the thing. I have something to add (that I haven't seen claimed on your site) to what can be said for Supercharged Science: Your many-faceted product speaks to the learning needs of the child not only in the many areas of science addressed and in the different learning styles spoken to, but also (and in many cases as much) in other content areas of academic learning, and in the child's development in non-academic areas. I am sure you already realize this fact, but if you want me to elaborate and submit a small piece explaining how enjoying SuperCharged Science can profit the child beyond science and academics, and I dare say how it can profit the family, beyond the individual child, I would be happy to do this, Aurora. Although I have typically no time to write (did you see the ages of our children? ), I would make a little time because every minute we have engaged in any SuperCharged Science enterprise, the adventure has without fail left us a better family. Sound a little over the top? I don't throw out baseless compliments. May God continue to bless you, your family and other loved ones, and SuperCharged Science. ~Helen Dallman and family Click here to read more. 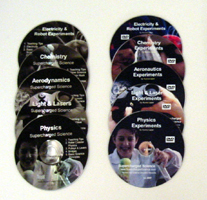 DVDs and CDs Included are dozens of step-by-step instructional videos demonstrating how to do the science experiments as well as audio recordings of live science classes. How much science is really included? 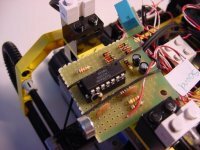 Materials for over 500 experiments, projects and activities. Total program spans 300+ hours (2-3 years) of science learning. Materials for over 200 experiments, projects and activities. Total program spans 200+ hours (1-2 years) of science learning. Materials for over 100 experiments, projects and activities. Total program spans 125+ hours (1 year) of science learning. You'll need to figure out which version of Science Mastery is best for your family. We also offer upgrades from Silver to Diamond and Gold to Diamond.